Be sure to check out the show notes below for links to resources mentioned in this episode. Welcome to Episode 79 of The Alzheimer’s Podcast, where we’re all about bringing The Good Stuff (that’s respect, kindness, love, empathy, and compassion) for people living with dementia, their families, and the professionals who support them. I’m Christy Turner, AKA The Dementia Sherpa. I’ve enjoyed the privilege of working with over 1,500 people living with dementia and their families so far, including multiple experiences in my own family. In the course of my career, I’ve transformed from total trainwreck on my first day as a professional, to local go-to expert, speaker, trainer, and consultant. And if I can go from scared spitless to confident care partner, you can too! One of the best things about the work I do is getting to hear people’s stories. I love hearing the life lessons and insights, moments of grace, and of course the funny. 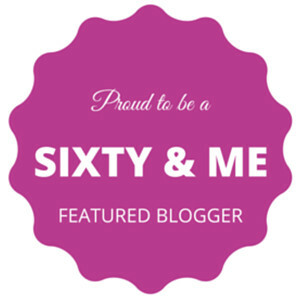 This week, I’m sharing my own story. 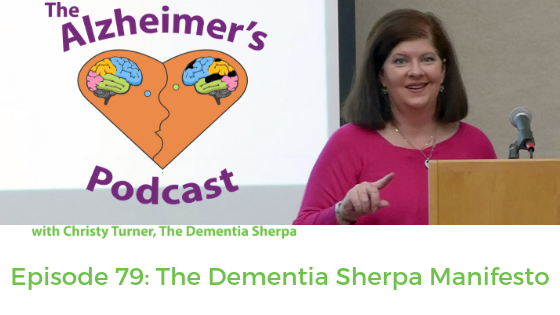 How I got into this line of work, why I do it, and how I became the Dementia Sherpa. In this episode of Navigating Rough Terrain with the Dementia Sherpa, I give you an idea of what the show will be like going forward, and tell you what I really think about how people living with dementia are perceived, antipsychotic medications, person-centered care, and more. Join the Dementia Sherpa tribe & grab your complimentary Communication Tips for Dementia Care Partners download bundle. Belong to a community of people who’ve been there, done that, and get it. Join the private Dementia Sherpa Facebook group Tips, Tricks, and Tools for Dementia Care Partners and/or find a support group near you. Dementia can last for up to 20 years or more. That's a long time to fly by the seat of your pants, struggling through trial and error! If you're ready to step into the life you and your loved one deserve, schedule your complimentary Dementia Caregiver Strategy call with Christy. 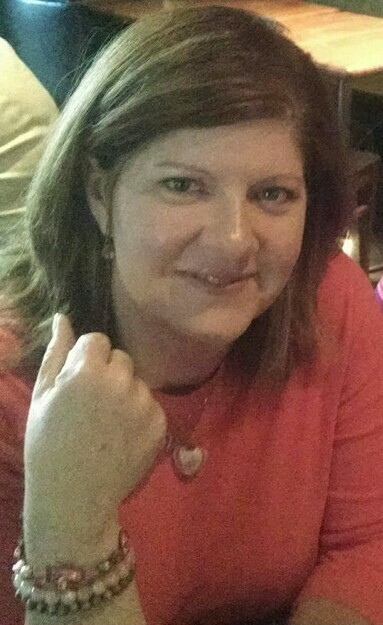 Christy Turner is a speaker and consultant, host of The Alzheimer’s Podcast, founder of DementiaSherpa.com, and creator of the online programs Memory Care at Home and The Dementia Sherpa’s Guide to Moving into Memory Care. She’s enjoyed the privilege of working with over 1,500 people living with dementia and their families so far, including multiple experiences in her own family.